“Looking for an excuse to take a hike? 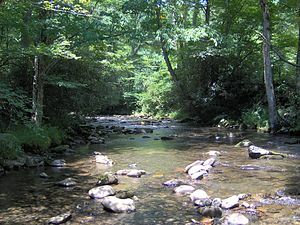 Then head to Great Smoky Mountains National Park and help rangers identify the locations of ash trees in the park. During an upcoming stretch of Saturdays park biologists will be working to collect data and map locations of ash trees in parts of the park. And they’d be happy to have your help. The dates to choose from are: Saturday August 28 (at Smokemont Campground in N.C.), Saturday September 11 (at Oconaluftee in N.C.), Saturday September 25 (at Deep Creek in N.C.), or Saturday, October 2 (at a location to be determined in Tennessee). On each of these dates the scheduled field activity will run from 9 a.m. to 1:00 p.m.” Click here for more information on this opportunity. We welcome comments. Please join the conversation. Please subscribe to our RSS Feed for more great outdoors tips and issues (top right corner). Learn to identify edible wild plants with Edible Wild Plants Cards. Follow me on Twitter for more great outdoors tips and issues.